Skylanders Academy season 2 will air in the Fall 2017 on Netflix and this week we learned that Skylanders Academy season 3 was in production to release in 2018. Skylanders Academy is an original animated show exclusively on Netflix which stars characters from the popular Skylanders video game franchise from Activision. Skylanders Academy season 1 left us on a cliffhanger and there’s been no details on Skylanders Academy season 2 other than the promise the show will be bigger and better. 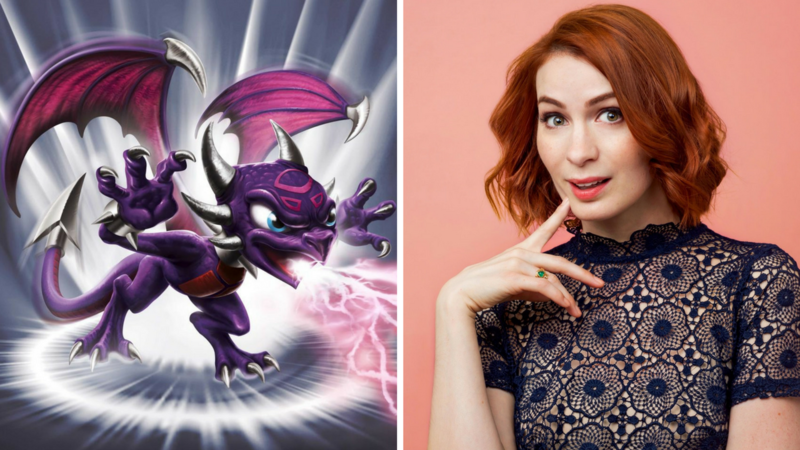 We do know that one new character will be joining the ensemble and that is Cynder who will be voiced by Felicia Day. Felicia Day is known for creating and staring in The Guild (web series) and also the Buffy The Vampire Slayer TV show. According to the press Activision release – Cynder will be a new cadet with a mysterious past. Fans of the original Spyro video games may remember that Cynder and Spyro had history together so we’ll see if that becomes the topic of an episode or not. The theme sone ‘Harmony’ will also be featured in Skylanders Academy season 2 produced by Grammy Award Winner Timbaland and featuring Dalton Diehl.